thanks, viracocha! report from the lab • pushcart nominations • tour through town kickoff show! Yes, we’ve done shows this year in a night club, a grand ballroom, a dive bar, a theatre, a bookstore, a mansion, three art galleries, a greenhouse, a creation factory; in two national landmarks and three different cities. We’ve partnered with Lagunitas, Litquake, Beast Crawl, Salon 97 and the ItCH, and earned the support of the Zellerbach Family Foundation. We are so grateful for all of these things! 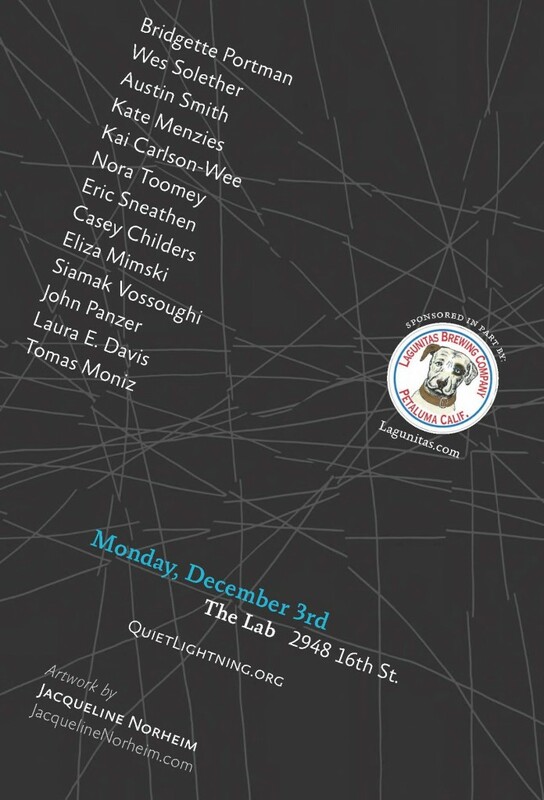 Join us at The Lab on Monday, December 3rd to celebrate our 38th show and the 34th issue of sparkle + blink. Curated by SB Stokes and Meghan Thornton and featuring art by Jacqueline Norheim, this marks the first time we’ve ever had a curator (SB) who is not a board member or committee director. If you want to put together one of our shows, check this out. At The Lab, we’ll begin accepting nominations for our June Neighborhood Heroes show. We will have delicious ice cold Lagunitas drafts for only $3. Admission is a suggested $5, but we’ll never turn anyone away. We want to inject this literature into your brains; that’s why you can read and watch all of our past shows for free. MroBen is going to be playing some music after the readings—check that out! In related news, we’ll be running our Instagram contest: take photos at the show (or on the dance floor) and tag them #quietlightning or #ql and the winner(s) receive(s) a month as our Facebook cover and a copy of sparkle + blink. 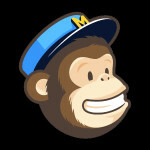 On a separate and final note, we’ll be opening submissions to our January show very soon. We’re still working out the details because we’re planning something special. December 3rd is not the end of our monthly submission-based series… exactly, but we hope you’ve all enjoyed Quiet Lightning as you’ve known it, and hope you will continue to enjoy it in all of its future forms. Remarkably, over a third of the people who attended our shows this year had never been to a Quiet Lightning before. Of this month’s 13 readers, 1 has read 9x, 1 has read 3x, and 1 has read 1x; all of the rest (77%) are first-timers. If you’re feeling nostalgic, or excited, or maybe even a bit of the both, perhaps you’ll enjoy this video from last year’s anniversary. Thank you for everything. Three years!